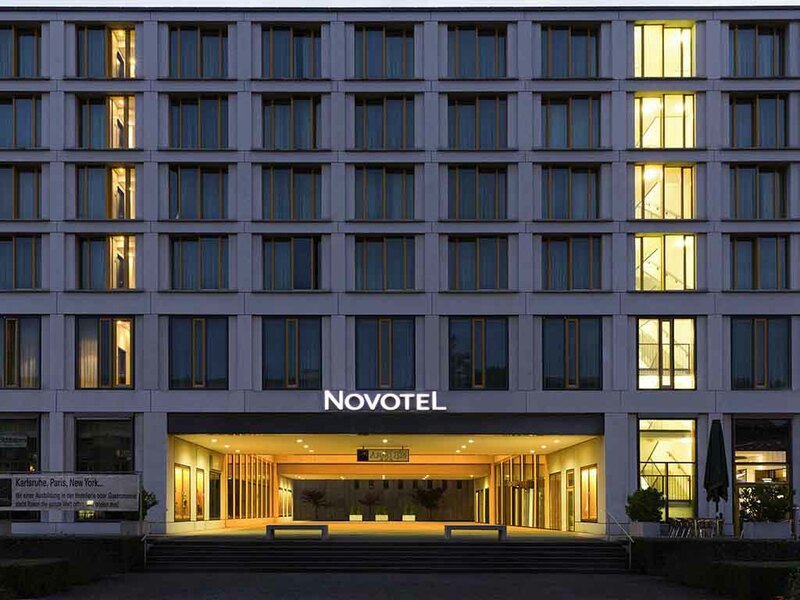 The 4-star Novotel Karlsruhe City hotel welcomes you in an ideal city location next to the convention center, just a 10-minute walk from the marketplace and the castle. It is just a 15-minute drive to the exhibition center. Free WIFI and a desk in your room make preparing for your conference a piece of cake. Relax in our spa area with sauna or with a cocktail in our stylish hotel bar. Enjoy the varied culinary delights at our restaurant and on the terrace in the summer. On Sundays and public holidays, our snack menu is available until 10pm, offering a delicious selection of dishes whether you are peckish or starving. Our NEWSBAR serves refreshing long drinks, international cocktail creations and delicious snacks (until 10PM) in a modern atmosphere - the perfect place to work, relax or enjoy great conversation.